Visual Solutions Incorporated (VSI) (Westford, Massachusetts) has announced the immediate availability of VisSim/Digital Power Designer, a new high level block set for simulation and auto code generation of Digital Power Supplies. Available from Adept Scientific (Letchworth, Herts) VisSim/Digital Power Designer allows you to quickly create models of complete power systems with a wide selection of digital control schemes, analogue power stages and loads. Building on the existing Embedded Controls Developer platform, VisSim/Digital Power Designer generates highly efficient embedded C-code to realise the firmware for the control of Texas Instruments MCUs. Supports TI Piccolo, Delfino, Concerto and MSP430 targets with CCS V4&V5. TMS320C2000, C2000, Piccolo, Delfino, C28x, MSP430 and Code Composer Studio are trademarks of Texas Instruments Incorporated. All registered trademarks and other trademarks belong to their respective owners. SOURCE Texas Instruments Incorporated. The VisSim product range is supplied and supported by Adept Scientific in theUK,Ireland,Germany,Austria,Scandinaviaand the Nordic countries. The next generation of VisSim from Visual Solutions Incorporated (VSI) (Westford, Massachusetts) is now available from Adept Scientific (Letchworth, Herts). VisSim version 8 is the much anticipated product upgrade and introduces exciting new concepts including VisSim/State Charts, a new UML graphical state chart editor, as well as many other product enhancements. • ANSI C code generation. VisSim version 8 provides more visually intensive and customisable, real-time gauges which can be connected to rapidly changing data sources. The new gauges incorporate features like dial colour, transparency and reflection to allow increased visibility and impact in your models. In addition, major and minor tick values, labels and an editable sweep angle give you the flexibility to create more realistic dashboard and control panel gauges. • Import and map blocks take text column headers in a data file and automatically put the column header on the corresponding output pin for the block. For large multi-column data sets, this greatly enhances readability. • Data export blocks support macro expansion in the header comment. This allows insertion of date and time, along with path and variable values into the header text of a data file. • Data export blocks have an auto email option for emailing zipped data sets to user-specified recipients. This allows remote monitoring and reporting. • Support of standard bitmap formats (.png, .gif, .jpg) for buttons and animations. • Enhanced parsing of foreign data sets. • UDP packet exchange add-on to give fast Ethernet based data exchange over intranet or internet. • Multiple CAN device support add-on. • Easy hyperlink creation to and from requirements documents to help meet DO-178B, SEAL and FDA embedded development guidelines. • Graphical creation of device interrupt handlers. • Expanded support of TI embedded devices and peripherals, including F2806x Piccolo, Delfino and CCS V4. TMS320C2000, C2000, Piccolo, Delfino, C28x, MSP430 and Code Composer Studio are trademarks of Texas Instruments Incorporated. All registered trademarks and other trademarks belong to their respective owners. The VisSim product range is supplied and supported by Adept Scientific in the UK, Ireland, Germany, Austria, Scandinavia and the Nordic countries. Visual Solutions Incorporated’s (VSI) (Westford, Massachusetts) VisSim/ECD Version 7.0 with support for Texas Instruments’ (TI) TMS320C2834x “Delfino” floating-point digital signal controllers (DSCs) is now available from Adept Scientific (Letchworth, Herts). Providing 600 million floating point instructions per second (MFLOPS) performance at 300 MHz, the C2834x devices bring higher performance and simpler software development to embedded applications such as industrial control, medical devices, digital power conversion and advanced sensing. Version 7.0 of VisSim/ECD adds support for the C2834x series to its existing support of all previous F28xx controllers. VisSim/ECD allows developers to program the C2834x DSC without writing a single line of code by easily constructing block diagrams to form DSC algorithms. With blocks to support standard maths and signal processing operations, as well as all of the on-chip peripherals of the C2834x controllers, programming for TI DSCs is now easier than ever. The ability to simulate algorithms on the PC allows offline troubleshooting and optimisation, shortening development time by a factor of 2 or more and removing the need for a dedicated programmer. VisSim/ECD’s advanced code generator results in faster sampling rates and low RAM usage comparable to hand-coded assembly. VisSim/ECD’s advanced feature set makes C and assembler programming a thing of the past. Systems designers who are unfamiliar with TI’s DSCs or hand coding can now take advantage of the simpler software development provided by the C2834x controllers, resulting in eliminating weeks – even months – of development time. Since 1989, VSI has been a pioneer in the development of Windows-based software for the modelling and simulation of dynamic systems and model based embedded development. VisSim is the winner of Electronic Design News Magazine’s Hot 100 New Technologies. VisSim software is easier to use and offers faster simulation speeds than competitive products. VSI is a member of the TI Developer Network, a community of respected, well-established companies offering products and services based on TI analogue and digital technology. The Network provides a broad range of end-equipment solutions, embedded software, engineering services and development tools that help customers accelerate innovation to make the World smarter, healthier, safer, greener and more fun. Adept Scientific plc (Letchworth, Herts): Visual Solutions (Westford, Massachusetts) is working with ResMed (Sydney, Australia) to bring an end to sleep-disordered breathing (SDB) and other respiratory disorders. Clinical trials on patients are a slow and expensive process with zero repeatability so it makes sense to simulate the symptoms experienced. This is where VisSim is enabling ResMed to a quicker result. By using VisSim to develop a ‘bench patient’, ResMed has been able to develop its own breathing simulators based on sophisticated physiological computer models, together with a library of VisSim-based ‘virtual patients’ with a variety of pathologies. The VisSim based ‘bench patient’ has greatly accelerated equivalence testing of ResMed’s second-generation therapy device. The result was shorter clinical trials and reduced time-to-market. ResMed sees its continuing use of VisSim as beneficial in simultaneously maximising quality, minimising development time and enhancing the customer experience through use of realistic product models. Since 1989, Visual Solutions (VSI) has been a pioneer in the development of Windows-based software for the modelling and simulation of dynamic systems. Their mission is to provide easy-to-use, powerful and affordable modelling, simulation and embedded system design software. ResMed (Sydney, Australia) is a leading developer, manufacturer and marketer of products for the screening, treatment and long-term management of sleep-disordered breathing (SDB) and other respiratory disorders. February 2008: Adept Scientific (Letchworth, Herts) is pleased to announce the launch of VisSim 7 from Visual Solutions Inc (Westford, MA). Delivering unmatched power, flexibility and extensibility, VisSim 7 is the latest version of the award-winning, Windows-based program for the modelling and simulation of complex nonlinear dynamic systems. It combines an intuitive drag and drop block diagram interface with a powerful simulation engine, making it the fastest and easiest-to-use simulation and embedded system design software available. VisSim 7 is packed with new features which make VisSim even more powerful, flexible and intuitive to use. Engineers will now gain a better physical understanding of model behaviour through 3D plots and animations as well as better simulating the noise in real-world systems with new random number routines. The developers have committed to capturing the attention of a wider audience with vastly enhanced matrix functionality. A high-level language enables modellers to manipulate matrices and rapidly construct them with a spreadsheet-type table (into which data from Excel and Mathcad can be pasted). Other highlights include the ability to solve systems of linear equations (including over- and under-determined systems), calculate eigenvalues/eigenvectors and realistically interpolate physical data through polynomial and spline fits. Visual Solutions have also delivered better usability than ever. Engineers can better integrate simulations into printed reports with an optional blue margin to show the printable part of the model and the facility to print only what you see on screen. They will also get working faster with a new option to automatically reload the last saved model. European simulation enthusiasts previewed VisSim 7, the latest release of the leading simulation software tool, at the headquarters of Adept Scientific (Letchworth, UK) last week. The two day event was delivered by Pete Darnell, CEO and Chief Software Engineer at developers Visual Solutions Inc (Westford, MA). The first day concentrated on the new features in VisSim 7, including 3D animation, 3D plotting, a vastly increased range of matrix operations, auto save and printing improvements. Delegates were particularly impressed by the ease of 3D animation and new spreadsheet-like interface for specifying tabular data and new routines for smoothly interpolating physical data. The following day focussed on a hands-on training course in Visual Solutions’ Embedded Controls Development (ECD) software environment. Delegates learned how to develop algorithms using ECD and downloaded them to F2812 DSPs – motivated by the opportunity to win a DSP. All delegates took home a TI MSP430 low power microprocessor evaluation kit as a thank you for attending. Alan Riley, an engineer from Sensonics who attended the User Meeting, said: “I got exactly want I wanted from the course; on the first day a very good introduction to VisSim from someone who has a deep understanding of the software. The second day demonstrated the power and simplicity of VisSim ECD in DSP applications; this has to be the way to go for DSP development”. Pete Darnell was particularly impressed by the calibre of the delegates and remarked: “Our European users continue to impress me with their creativity and knowledge level. I think they use VisSim to add greater intellectual value to product development than users elsewhere. It is rewarding to see such deep appreciation of VisSim. It’s a major impetus for spurring my desire to deliver highly accessible model based development tools that reduce development time, increase product quality and continue to offer the fastest simulation speed and most efficient code generation on the market today”. He plans to return in mid 2008 and repeat the event as a part of Visual Solutions’ commitment to remain close to its European user-base. Simulation experts and new users can register an initial interest in attending by emailing info@alfasoft.com. VisSim is a Windows-based program for the modelling and simulation of complex nonlinear dynamic systems, combining an intuitive drag-and-drop block diagram interface with a powerful simulation engine. VisSim 7 is scheduled for release in early 2008. A new add-on for the VisSim dynamic simulation software system has been developed in a joint project between Adept Scientific (Letchworth, Herts) and Visual Solutions (Groton, Massachusetts). The VisSim/PowerPack adds significant functionality to Visual Solutions’ core VisSim product, much of it in response to the wish-lists of VisSim users. The VisSim/PowerPack is a collection of ready-made function blocks and utilities designed for users of VisSim, VisSim/Comm and VisSim/ECD. With it, you can calculate the eigenvalues and eigenvectors of a square matrix, solve real and imaginary roots of polynomials, fit polynomials to data, perform principal component analysis, smooth input signals, solve systems of linear equations, sort vector input data and fit linear, cubic and parabolic splines to data. It also allows you to read and write data via your computer’s serial port (ideal for communicating directly with instruments); and to synchronise simulations on different computers. The VisSim/PowerPack is available now from Adept Scientific at www.adeptscience.com. VisSim is a Windows-based program for the modelling and simulation of complex nonlinear dynamic systems, combining an intuitive drag-and-drop block diagram interface with a powerful simulation engine. The VisSim product range is supplied and supported by Adept Scientific in the UK, Ireland, Germany, Austria and Scandinavia. With offices in the UK, USA, Germany and throughout the Nordic region, Adept Scientific is one of the world’s leading suppliers of software and hardware products for research, scientific, engineering and technical applications on desktop computers. Full details and contact information for all Adept Scientific international offices are available at www.adeptscience.com; or telephone +44 (0) 203 695 7810. Adept Scientific, distributors of the VisSimTM range of modelling and simulation software, is pleased to announce a new partnership with Kane Computing, experts in DSP-based embedded systems, to support the VisSim/Embedded Controls Developer (VisSim/ECD) product in the United Kingdom. Potential customers will be able to purchase VisSim/ECD directly from Kane Computing, who will provide a comprehensive added-value service including pre- and after-sales support. VisSim/ECD is a development environment for the rapid prototyping and development of embedded control systems, providing users with the ability to simulate and generate C-code. Based on the well-known VisSim simulation engine, it allows embedded systems to be prototyped in software, offering significant savings in cost, and in design and debug time for fixed-point and floating point targets. VisSim/ECD supports the Texas Instruments MSP430, F24x, LF240x, F2812, C5510, C6713 and associated development boards from Spectrum Digital and SoftBaugh. Its embedded target support includes automatic C-code generation, compile and link, making it an essential tool for anyone designing embedded DSP systems. Added Richard White, Managing Director of Kane Computing, “We are delighted to be working with Adept Scientific. We are the UK distributors for Spectrum Digital and Softbaugh DSP hardware and an authorised Texas Instruments Third Party Reseller and this new relationship enables developers to purchase everything they need for their projects and get support from one local source”. 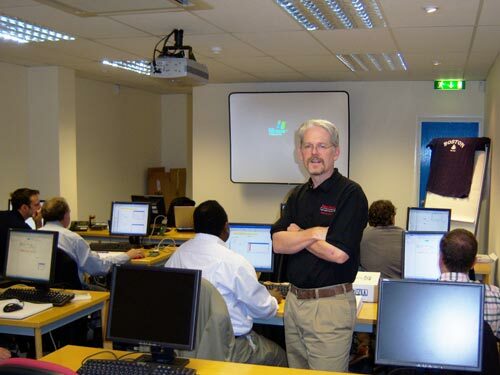 Kane Computing (Northwich, Cheshire) is the UK’s primary source of fully supported development tools for Texas Instruments DSPs, with an excellent reputation for both technical expertise and customer service. VisSim and VisSim/ECD is developed by Visual Solutions (Groton, Massuchusetts), a pioneer in the development of Windows-based software for the modelling and simulation of dynamic systems. VisSim products are used by major companies worldwide to model, simulate and embed control, communication and signal processing systems. Adept Scientific (Letchworth, Herts) is Visual Solutions’ partner and master distributor of VisSim products in the UK, Ireland, Germany, Austria and Denmark. Full details and contact information for all Adept Scientific international offices are available at www.adeptscience.com; or telephone +44 (0) 203 695 7810. Adept Scientific is pleased to announce the release of VisSim Version 6.0 for Windows 95/98/2000/NT/XP from Visual Solutions Incorporated (VSI). VisSim 6.0 is the latest version of the award-winning, Windows-based program for the modelling and simulation of complex nonlinear dynamic systems. It combines an intuitive drag and drop block diagram interface with a powerful simulation engine, making it the fastest and easiest-to-use simulation and embedded system design software available. VisSim Version 6.0 adds new blocks, an improved simulation engine, and enhanced user interface. The new blocks read and write audio from .WAV files or a Windows audio device enable the user to control the delay for the ‘on’ and ‘off’ commands found in process control. Other new blocks identify the location and value of the minimum and maximum elements of a matrix, give the time of day, and display a coloured bit for every element in a matrix. The new Maple interface blocks communicate with Maple mathematical problem-solving software. These blocks allow the reading and writing of scalar and matrix data to the Maple workspace, as well as execution of Maple scripts. This brings a fast smooth interface between VisSim and Maple. The new add-on ‘Knobs and Gauges’ block set lets the user specify various blocks to give high quality graphical behaviour of interactive gauges, meters, dials, switches and knobs. This allows the user to create a ‘dashboard’ face plate to drive and monitor your VisSim model. VisSim 6.0 brings an improved user interface. The addition of the VisSim Tutor allows the user to annotate a VisSim diagram with interactive help balloons so that the user can read and understand it better. The new VisSim Diagram Explorer Window now allows the user to explore the VisSim menu hierarchy. This makes it very convenient to insert blocks from deeply nested menu trees. Subsystem Superclocking, which allows all blocks within a compound block to run at a user defined rate faster than the overall sym rate. It allows for containment of high frequency components, iterating through matrices, or modelling of partial differential equations. Two new adaptive integration methods for solving stiff systems. A real time scale factor which allows the user to run real time simulations at multiples or fractions of real time. Auto check pointing lets the user automatically save diagram state to a file name with a time stamp suffix. The file contains the current state of all variables in the diagram at that point of the simulation. This is useful for operator training, allowing the operator to go back in time and re-simulate questionable decisions. VisSim 6.0 is supplied and supported in the UK and Ireland by Adept Scientific plc, Amor Way, Letchworth, Herts. SG6 1ZA; telephone +44 (0) 203 695 7810, fax +44 (0) 203 695 7819, e-mail info@alfasoft.com; or see Adept’s dedicated World Wide Web site http://www.adeptscience.co.uk/.